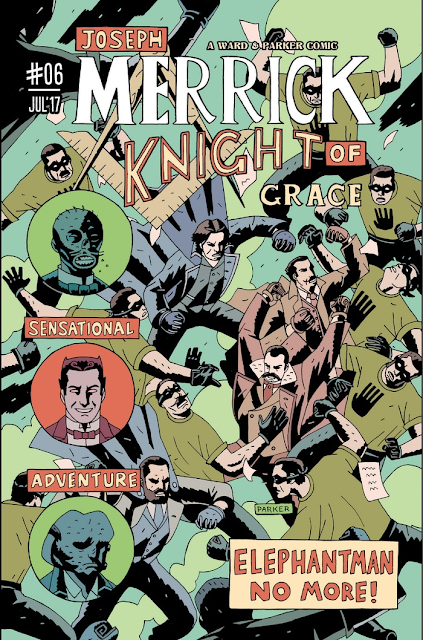 It seems only the other day that Tom Ward & Luke Parker were sending out copies of 'Merrick the sensational elephantman #5', in fact it was only in May. But my copy is still sat in its wrapper as I've yet to read it, the shame, the shame! Anyway, they haven't been hanging around as Tom has just announced that the next issue (#6) has been completed and the printed copies should all be out by the end of July. Great news for all those who backed this great Kickstarter campaign. There are things to buy here - and you can even pre-order issue 6 - but be warned there is a limited print run of only 500 copies - and you can only order 2 issues, so don't delay.